Order some To The Bones Merch Online. Hey all. We’re down to our last of the black To The Bones skull Tshirts. There’s now a small handful of medium and small blacks left + some medium womens Tshirts. We of course still stock our pride and joys which are our 2 records that we’ve made. We still have a stack of CD Astral Magic EPs left and also our 10 track LP ‘Duke Type A’ . Do us and yourself a sweet deed and go order a tonne of merch form our online shop. http://www.tothebonesband.bigcartel.com We’ll be restocking with brand new items eventually but for the meantime go and hook yourself up! 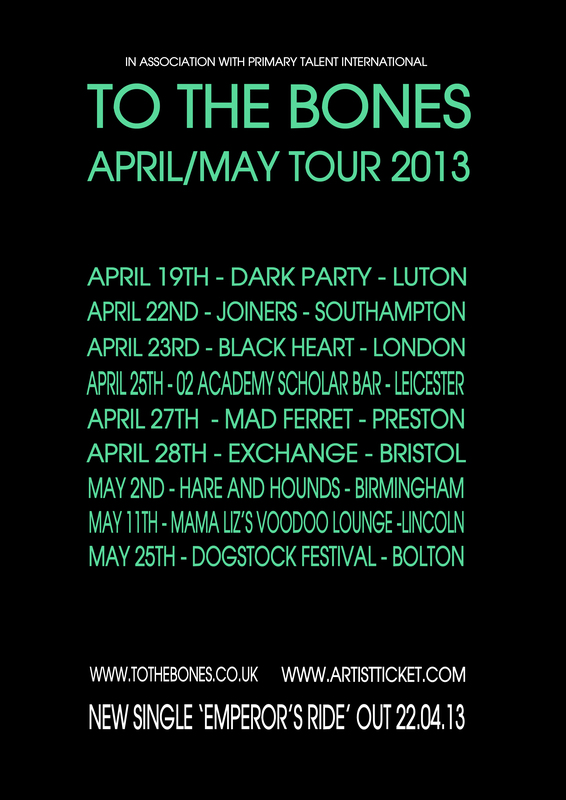 Hope to see you guys on tour in april and may!